Animal models provide rapid, inexpensive assessments of an investigational drug’s therapeutic potential. Ideally, they support the plausibility of therapeutic efficacy and provide a rationale for further investigation. Here, I discuss how the absence of clear effective-ineffective categories for alcohol use disorder (AUD) medications and biases in the clinical and preclinical literature affect the development of predictive preclinical alcohol dependence (AD) models. 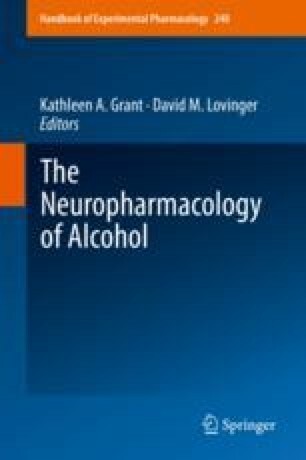 Invoking the analogical argument concept from the philosophy of science field, I discuss how models of excessive alcohol drinking support the plausibility of clinical pharmacotherapy effects. Even though these models are not likely be completely discriminative, they are sensitive to clinically effective medications and have revealed dozens of novel medication targets. In that context, I discuss recent preclinical work on GLP-1 receptor agonists, phosphodiesterase inhibitors, glucocorticoid receptor antagonists, nocioceptin agonists and antagonists, and CRF1 antagonists. Clinically approved medications are available for each of these drug classes. I conclude by advocating a translational approach in which drugs are evaluated highly congruent preclinical models and human laboratory studies. Once translation is established, I suggest the burden is to develop hypothesis-based therapeutic interventions maximizing the impact of the confirmed pharmacotherapeutic effects in the context of additional variables falling outside the model. The original version of this chapter was revised. A correction to this chapter is available at https://doi.org/10.1007/164_2018_191.